Proponents of the Indo-Pacific concept assume that growing economic and societal linkages and the need for greater political and security cooperation and order-building are leading to the integration of the region. India and Indonesia were thought to be crucial in these processes of regionalisation and regionalism and were early adopters of the Indo-Pacific idea. 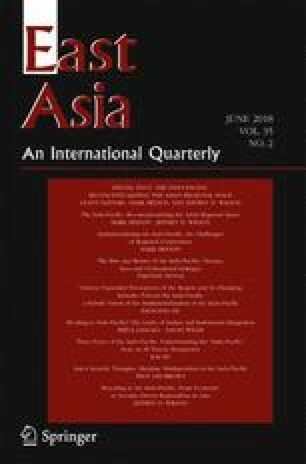 The purpose of this paper is to evaluate the extent to which the Indo-Pacific initiatives of India and Indonesia are leading to the integration of the Asia-Pacific and Indian Ocean regions through greater Indian involvement with the Pacific region and stronger Indonesian engagement with the Indian Ocean region. It is argued that an interlinked set of security and economic concerns drove India and Indonesia’s adoption of the Indo-Pacific idea. In both cases, a desire for economic growth and preventing Chinese economic and political dominance in the region were important drivers. However, the nature of the political economies of India and Indonesia does not readily facilitate extensive economic linkages or strategic interests beyond their immediate regions. Moreover, both countries are wary of being seen as members of anti-China coalitions due to the impact this may have on regional stability and their domestic political and economic priorities. These factors place significant limitations on the regional integration of the Indo-Pacific. Abe, S. (2007). Confluence of the Two Seas. Speech by H. E. Mr. Shinzo Abe, Prime Minister of Japan at the Parliament of the Republic of India. Ministry of External Affairs. http://www.mofa.go.jp/region/asia-paci/pmv0708/speech-2.html. (Accessed 29 October 2017). Aneja, A. (2015). China, India fast-track BCIM economic corridor project. Hindu. http://www.thehindu.com/news/national/china-india-fasttrack-bcim-economic-corridor-project/article7355496.ece. (Accessed 29 October 2017). ANTARA News (2017). Indian Ocean to be conflict of interest among big countries. ANTARA. 13 March. http://www.antaranews.com/en/news/109912/indian-ocean-to-be-conflict-of-interest-among-big-countries. (Accessed 29 October 2017). ASEAN (2015). Plan Of Action To Implement The Asean-India Partnership For Peace, Progress And Shared Prosperity (2016–2020). ASEAN. http://asean.org/wp-content/uploads/images/2015/August/POA_India/ASEAN-India POA - FINAL.pdf. (Accessed 29 October 2017). Brewster, D. (2016). The Indo-Pacific century: New concept, new challenges. Policy Forum. 10 August. https://openresearch-repository.anu.edu.au/bitstream/1885/107168/1/01_Brewster_The_Indo-Pacific_Century_2016.pdf. (Accessed 29 October 2017). Clinton, H. (2011). America’s Pacific Century. Foreign Policy. 10 November. http://www.foreignpolicy.com/articles/2011/10/11/americas_pacific_century. (Accessed 29 October 2017). Committee For Rationalization & Optimization Of The Functioning Of The Sector Skill Councils. Report Of The Committee For Rationalization & Optimization Of The Functioning Of The Sector Skill Councils. Ministry Of Skill Development And Entrepreneurship, Government Of India. http://www.skilldevelopment.gov.in/assets/images/ssc-reports/SSC%20Vol%20I.pdf (Accessed 24 April 2018). De Haan, J. (2016). Jokowi Concludes State Visit to India. Future Directions International. 14 December. http://www.futuredirections.org.au/publication/jokowi-concludes-state-visit-india/. (Accessed 29 October 2017). De Haan, J. (2018). Palm Oil Diplomacy. Future Directions International. 9 May. http://www.futuredirections.org.au/publication/palm-oil-diplomacy/. (Accessed 19 May 2018). Ganesan, S. (2017). Good scope for increasing bilateral trade between India and Indonesia. The Hindu. 16 March. http://www.thehindu.com/todays-paper/tp-national/tp-tamilnadu/good-scope-for-increasing-bilateral-trade-between-india-and-indonesia/article17469877.ece. (Accessed 29 October 2017). Government of India. (2017). Official Spokesperson’s response to a query on participation of India in OBOR/BRI Forum. Ministry of External Affairs. 13 May. http://www.mea.gov.in/media-briefings.htm?dtl/28463/official+spokespersons+response+to+a+query+on+participation+of+india+in+oborbri+forum. (Accessed 29 October 2017). Government of India and Government of Indonesia. (2016). Statement by India and Indonesia on Maritime Cooperation. Ministry of External Affairs, Government of India. 25 January. http://mea.gov.in/bilateral-documents.htm?dtl/27806/Statement+by+India+and+Indonesia+on+Maritime+Cooperation. (Accessed 29 October 2017). Government of India and Government of United States. (2015). US-India Joint Strategic Vision for the Asia-Pacific and Indian Ocean Region. Ministry of External Affairs, Government of India. 25 January. http://www.mea.gov.in/bilateral-documents.htm?dtl/24728/USIndia_Joint_Strategic_Vision_for_the_AsiaPacific_and_Indian_Ocean_Region. (Accessed 29 October 2017). Harris, H. B. (2016). Raisina Dialogue Remarks—‘Let’s Be Ambitious Together’. USPACOM. 2 March. http://www.pacom.mil/Media/Speeches-Testimony/Article/683842/raisina-dialogue-remarks-lets-be-ambitious-together/. (Accessed 29 October 2017). Hassan, I. (2018). Cheap Chinese apples sour J&K fruit. DNA, 10 January. http://www.dnaindia.com/india/report-cheap-chinese-apples-sour-jk-fruit-2574253. (Accessed 15 May 2018). Hermansyah, A. (2017). I held up umbrella for King Salman, yet China gets the investment: Jokowi. Jakarta Post. 14 April. http://www.thejakartapost.com/news/2017/04/14/i-held-up-umbrella-for-king-salman-yet-china-gets-the-investment-jokowi.html. (Accessed 29 October 2017). Hindu (2014). ‘India-Asean trade to touch $100 bn by 2015’. Hindu. 19 April 2014. http://www.thehindu.com/business/Industry/indiaasean-trade-to-touch-100-bn-by-2015-nirmala/article6682785.ece. (Accessed 29 October 2017). Hindu (2017). RCEP: India upset over slow progress on services talks. Hindu. 23 May. http://www.thehindu.com/business/Economy/recp-india-upset-over-slow-progress-on-services-talks/article18548403.ece. (Accessed 29 October 2017). India Today (2016). SCS should not become battlefield between big nations: Widodo. India Today. 10 December. http://indiatoday.intoday.in/story/scs-should-not-become-battlefield-between-big-nations-widodo/1/831507.html. (Accessed 29 October 2017). Jaishankar, S. (2015). Remarks by Foreign Secretary at the release of Dr. C. Raja Mohan’s book ‘Modi’s World-Expanding India’s Sphere of Influence’ (July 17, 2015). Ministry of External Affairs. 18 July. http://mea.gov.in/Speeches-Statements.htm?dtl/25491/Remarks_by_Foreign_Secretary_at_the_release_of_DrC_Raja_Mohans_book_Modis_WorldExpanding_Indias_Sphere_of_InfuencequotJuly_17_2015. (Accessed 29 October 2017). Jaishankar, S. (2016). Speech by Foreign Secretary at Raisina Dialogue in New Delhi (March 2, 2015). Ministry of External Affairs. 2 March. http://mea.gov.in/Speeches-Statements.htm?dtl/26433/Speech_by_Foreign_Secretary_at_Raisina_Dialogue_in_New_Delhi_March_2_2015. (Accessed 29 October 2017). Jakarta Globe (2014). Jokowi Signals Break With ‘Thousand Friends’ Foreign Policy. Jakarta Globe. 17 November. http://jakartaglobe.beritasatu.com/news/jokowi-signals-break-thousand-friends-foreign-policy/. (Accessed 29 October 2017). Jokowi-Jusuf Kalla (2014). Jalan Perubahan Untuk Indonesia yang Berdaulat, Mandiri dan Berkepribadian, Visi Misi, dan Program Aksi. May. http://kpu.go.id/koleksigambar/VISI_MISI_Jokowi-JK.pdf. (Accessed 29 sOctober 2017). Kwok, Y. (2016). Could Indonesia’s President Become the Middle East’s New Mediator? Time. 20 January. http://time.com/4186427/indonesia-saudi-arabia-iran-diplomacy-sunni-shia/. (Accessed 11 May 2018). Laksmana, E. (2017). Indonesian Sea Policy: Accelerating Jokowi’s Global Maritime Fulcrum?. AMTI Brief. 23 March. https://amti.csis.org/indonesian-sea-policy-accelerating/. (Accessed 27 March 2017). Laksmana, E. (2018). An Indo-Pacific construct with ‘Indonesian characteristics’ The Strategist. 6 February. https://www.aspistrategist.org.au/indo-pacific-construct-indonesian-characteristics/. (Accessed 12 February 2018). Marsudi, R. L. (2015). Annual Address 2015. Kementrian Luar Negeri Indonesia. http://www.kemlu.go.id/Documents/PPTM%202015/PPTM%202015%20ENG%20FINAL%20PDF.pdf. (Accessed 29 October 2017). Marsudi, R. L. (2017). INSIGHT: Indonesia’s leadership aims for peaceful, stable, prosperous Indian Ocean. Jakarta Post. 6 March. http://www.thejakartapost.com/academia/2017/03/06/insight-indonesias-leadership-aims-for-peaceful-stable-prosperous-indian-ocean.html. (Accessed 29 October 2017). Medcalf, R. (2013). The Indo-Pacific: What’s in a Name?. The American Interest. 10 October. https://www.the-american-interest.com/2013/10/10/the-indo-pacific-whats-in-a-name/. (Accessed 29 October 2017). Miglani, S. (2017). India refuses Australia for Malabar Naval drill, fears China backlash. Reuters. 30 May. http://www.reuters.com/article/us-india-navy-exercises-idUSKBN18Q1VD. (Accessed 29 October 2017). Moss, D. (2015). Indonesia calls for US-China to ‘restrain themselves’, lashes US ‘power projection’ after Spratly sail-by. South China Morning Post. 28 October. http://www.scmp.com/news/china/diplomacy-defence/article/1873456/indonesia-calls-us-china-restrain-themselves-lashes-us?page=all. (Accessed 29 October 2017). Natalegawa, M. (2013). An Indonesian Perspective on the Indo-Pacific Treaty. CSIS. http://csis.org/files/attachments/130516_MartyNatalegawa_Speech.pdf. (Accessed 29 October 2017). Negara, S. D. (2017), The Impact of the Saudi King’s Visit to Indonesia. ISEAS Perspectives. 10 March. https://www.iseas.edu.sg/images/pdf/ISEAS_Perspective_2017_16.pdf. (Accessed 11 May 2018). Parlina, I. (2016). RI to buy LPG from Iran, team up on energy. Jakarta Post. 15 December. http://www.thejakartapost.com/news/2016/12/15/ri-to-buy-lpg-from-iran-team-up-on-energy.html. (Accessed 29 October 2017). Pasricha, A. (2016). India Rejects Joint Naval Patrols with US in South China Sea. VOA. 11 March., https://www.voanews.com/a/india-rejects-joint-naval-patrols-with-us-in-south-china-sea/3231567.html. (Accessed 29 October 2017). Philipps, A. (2016). From Hollywood to Bollywood? Recasting Australia’s Indo/Pacific strategic geography. ASPI Strategy. October. https://www.aspi.org.au/report/hollywood-bollywood-recasting-australias-indopacific-strategic-geography. (Accessed 29 October 2017). Rappler (2015). Full Speech: Jokowi at APEC CEO Summit 2014. Rappler. 21 May. https://www.rappler.com/world/regions/asia-pacific/indonesia/74620-full-speech-joko-widodo-apec-summit-beijing. (Accessed 29 October 2017). Rusmana, Y. & Listiyorini, E. (2018). Indonesia Palm Oil Exports to India Seen at Record on Demand. Bloomberg. 5 February. https://www.bloomberg.com/news/articles/2018-02-04/indonesia-palm-exports-to-india-seen-at-record-on-strong-demand. (Accesssed 19 May 2018). Singh, M. (2013). PM’s statement to the media during his visit to Indonesia. Prime Minister’s Office, Government of India. 11 October. http://archivepmo.nic.in/drmanmohansingh/speech-details.php?nodeid=1373. (Accessed 29 October 2017). Sukma, R. (2014). Speech on panel: Indonesia’s Foreign Policy and Security Issues: Continuity, Evolution, or Change?. 11 December. https://vimeo.com/115271536. (Accessed 29 October 2017). Times of India (2012). India-Indonesia bilateral trade target revised to $45 billion. Times of India. 22 April. https://timesofindia.indiatimes.com/business/international-business/India-Indonesia-bilateral-trade-target-revised-to-45-billion/articleshow/12824006.cms. (Accessed 29 October 2017). Wesley, M. (2011). SEA-Blindness: Why Southeast Asia Matters. 9 March. https://www.lowyinstitute.org/sites/default/files/pubfiles/Wesley%2C_SEA_blindness_1.pdf. (Accessed 29 October 2017). Willis, D. (2017). ASEAN the cornerstone of RI foreign policy, again. Jakarta Post. 17 April. http://www.thejakartapost.com/academia/2017/04/17/asean-the-cornerstone-of-ri-foreign-policy-again.html. (Accessed 29 October 2017).